Do you have a pet with arthritis or chronic pain? 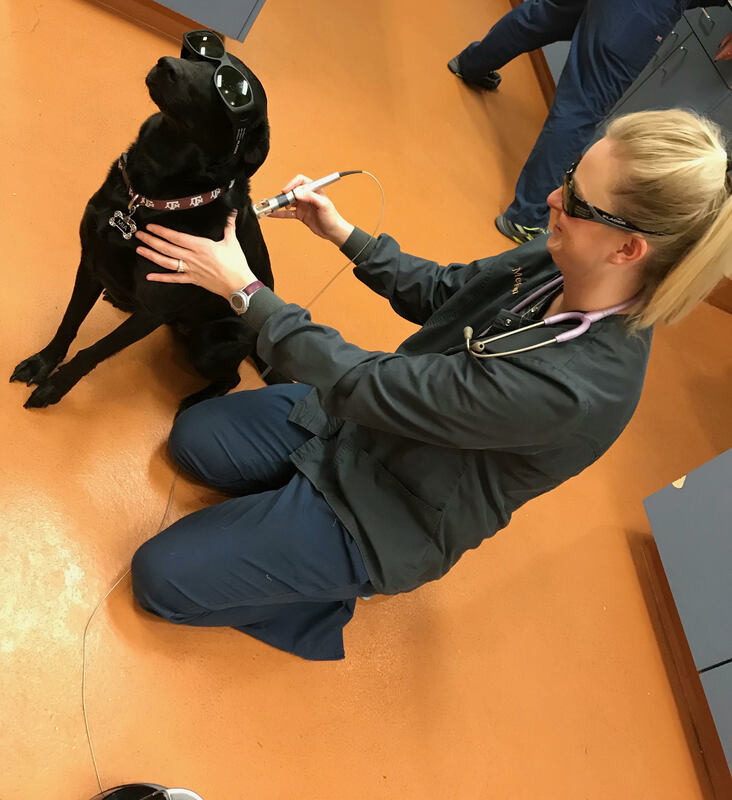 We would like to invite you to schedule a FREE CONSULTATION with one of our veterinarians to discuss the use of Laser Therapy to improve your pet’s quality of life without additional medications. We are pleased to offer you a 25% discount on the purchase of 6 treatments if purchased during your consultation. This offer is available from December 1st – 31st while appointments last. Laser Therapy is the use of specific wavelengths of light (red and near infrared) to stimulate the body’s natural ability to heal. The effects of laser energy include healing time, pain reduction, increased circulation and decreased swelling. Please visit https://www.k-laser.com/pet-owners for additional information.